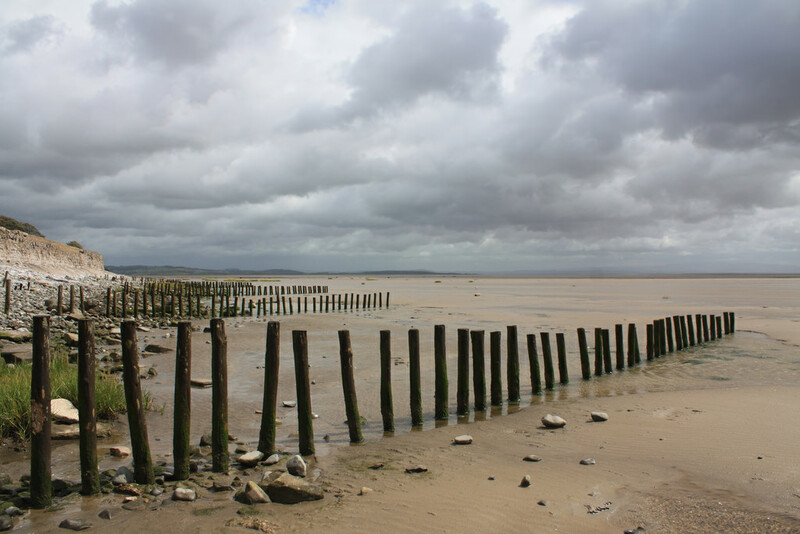 Barrow is situated at the tip of the Furness peninsula on the north-western edge of Morecambe Bay, south of the Duddon Estuary and east of the Irish Sea. Walney Island, to the west of Barrow, surrounds the peninsula’s Irish Sea coast and is separated from Barrow by the narrow Walney Channel. Both Morecambe Bay and the Duddon Estuary are characterized by large areas of quicksand and fast-moving tidal bores. Areas of sand dunes exist on coasts surrounding Barrow, particularly at Roanhead and North Walney. The town centre and major industrial areas sit on a fairly flat coastal shelf, with hillier ground rising to the east of the town, peaking at 94 metres (310 ft) at Yarlside. Barrow sits on soils deposited during the end of the Ice Age, eroded from the mountains of the Lake District National Park, 10 miles (15 km) to the north-east. Being only around 20 minutes from the Lake District close to Coniston Water and Windermere, Barrow has been referred to as a ‘gateway to the lakes’ and ‘where the lakes meets the sea’, a status which could be enhanced by the new marina complex and planned cruise ship terminal.